Simply the perfect gift for anyone you love. 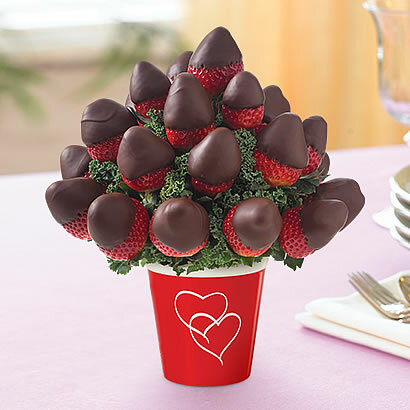 The Sweetheart Bouquet is filled with fresh strawberries, hand-dipped in gourmet semisweet chocolate, and artfully arranged in a custom keepsake container. A romantic gift for birthdays, anniversaries, Valentine's Day and more!